After Chae Ryung spying at revealed and she was being punished severly Hae Soo feels too bad and couldn't realize and accept the reality as she was too hard broken with the palace affairs. Moreover the kings decision over giving punishment. She decided to leave everything. King So was worried for her as he noticed she was not in her mind and suffering from shock. He consoled her and told her just to forget what happened its in the past as there wasn't any other way to avoid thing but to punish. 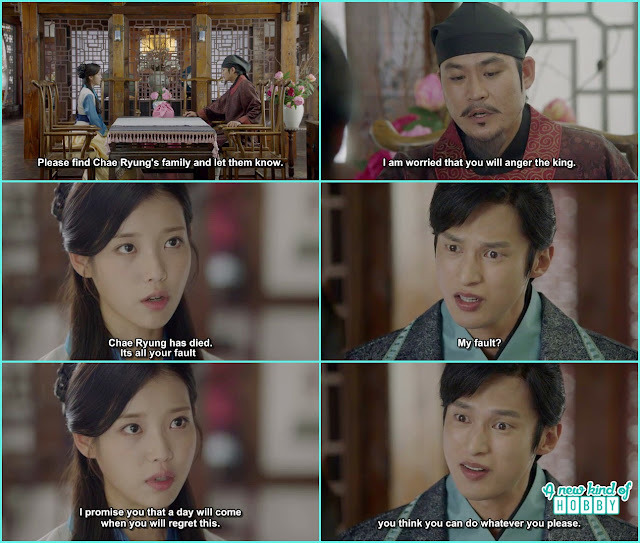 Unexpectedly Hae Soo ask King the permission to leave the palace and hearing what she said King immediately refused. Hae So was worried what happened to Chae Ryung as her last request to take care for her family. Hae Soo came to talk with Ji Monk who told her not to do anything as if its in King's knowledge things would be more of difficult for her in future. The 9th Prince Wang Won happen to came there Hae Soo saw him and told him about Chae Ryung death he ignored that it wasn't his fault that she suffered. He was too mean and selfish. Hae Soo come to knew another true face of him when he called Hae Soo King's Mistress. It was too shocking for us and for Hae Soo that he was calling her by this name infront of Ji Monk. Somehow Prince Wang Won's words came in to King Wang So knowledge and he was too angry. He was too angry and decided to announce Hae Soo as the Royal Concubine but Hae Soo refused. King don't want Hae Soo to be suffered and hear those kind of words as its hard to stop the people from bad mouthing he told Hae Soo once you have a child you will be the second Queen. We wonder will Hae Soo be the second Queen other then Queen Yeon Hwa. But who knows what's their future. King Wang So was too understanding he can feel what Hae Soo's suffering from so he tried to comfort her and want her to accept the position as his Queen. Hae Soo didn't make any decision as she don't want to argue and fight over petty things with the King. 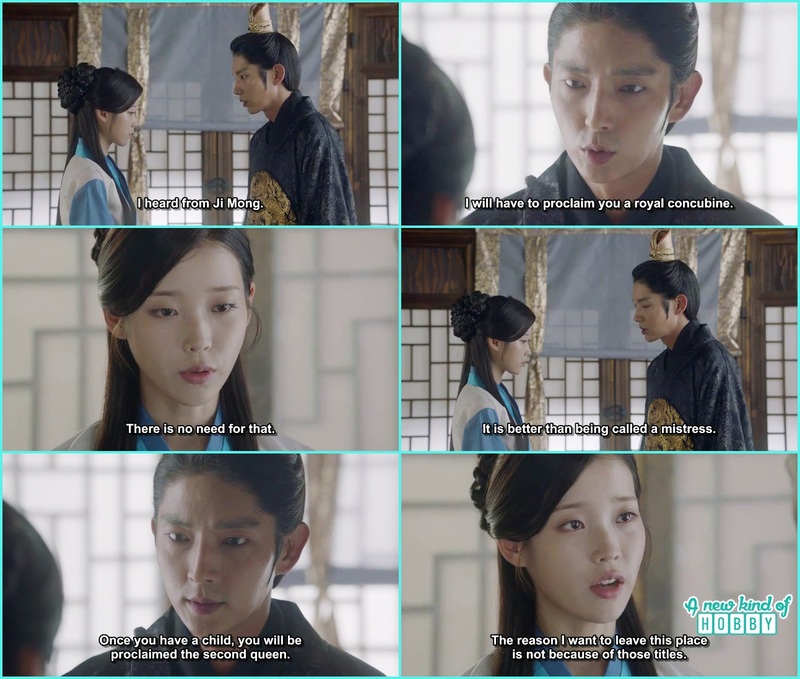 But King once again tried his best to make Hae Soo understand that he only want her to not to waste any time of their relation and waste in fighting just go along with the decision he made for her. Waoo what if every King had that smart mind to understand what his people thinks and want things wouldn't be that hard and cruel for them..